Owning and operating one of the largest architectural salvage stores in the nation, I could list a number of things that I love about my job. I love discovering the history behind many of the artifacts that we rescue. I love the challenge of salvaging an old building. I also love being creative by re-purposing salvaged goods and finding new ways to give them life. But, the thing that I truly love the most are the people who float in and out of Southern Accents each day. A few Saturdays ago, a young boy by the name of Walker Mallos visited our showroom with his parents and grandparents. He looked up at the huge flag that we have hanging over the staircase and asked if I had anything from the Presidents. I didn’t quite understand his question. His Grandfather came to my rescue and explained that his grandson loved the Presidents. He encouraged me to quiz him… “ask him anything about any President.” I asked him to list the first ten Presidents, thinking this would be a challenging task for any 9 year old. Walker laughed as he quickly proceeded to name each President, from George Washington to Barack Obama, in order. I was intrigued with my new young friend. Determined to stump him, I then asked if he could name the Vice-Presidents. To my disbelief, he named each one, in order, along with the name of their wife. To say that I was impressed would be an understatement. I then asked Walker if I could video him. He obliged and offered to state an interesting fact about each President as he named them. You can watch a clip of this video on our YouTube channel. People come in and out of our showroom every day. The gifts that they share with us are one of the reasons that we do what we do. It is the fellowship with our customers and the sense of community that inspires us. Our continuing thirst for knowledge helps in creating and cultivating relationships across the nation. That makes Southern Accents not just a salvage store but a place where relationships can grow based on a love of history and architectural antiques. In that, we learn to be more appreciative of our surroundings. This 9 year old boy shared with me a history lesson on our Presidents. In return I was able to share something with him. One of the rare door knobs in my collection is a knob that came from JFK’s New York apartment. Walker got to hold, in his hand, the same knob that was many times grasped by his idol, President John F. Kennedy. I was honored to have had the opportunity to link this child’s passion with one of mine through a piece of salvage that will be memorialized for us both. Rescuing, restoring and protecting artifacts of historical significance is our passion at Southern Accents. Sharing stories and historical facts that we’ve been able to gather about these artifacts is a way we keep history alive for future generations. The opportunity to connect with a young 9 year old boy who shares a love of history is a gift. He may one day be creating the history that my grandsons will be collecting! We appreciate our customers. Your business allows us to continue doing what we love. Your stories and conversations inspire us. Stop by our showroom, grab a coke or bottle of water and stay awhile. Let’s share a story or two together! Former Auburn University head football coach Pat Dye is coming to Southern Accents! Coach Dye will be here on Saturday, July 27th from 10:00 am till 2:00 pm. Everyone is invited and encouraged to come out and meet one of the winningest and most highly recognized coaches in the history of the SEC. During his 12 season tenure as head football coach at Auburn University, Coach Pat Dye lead the Tigers to 4 SEC Championships! He was named National Coach of the Year in 1983 and was a multiple SEC Coach of the Year winner. 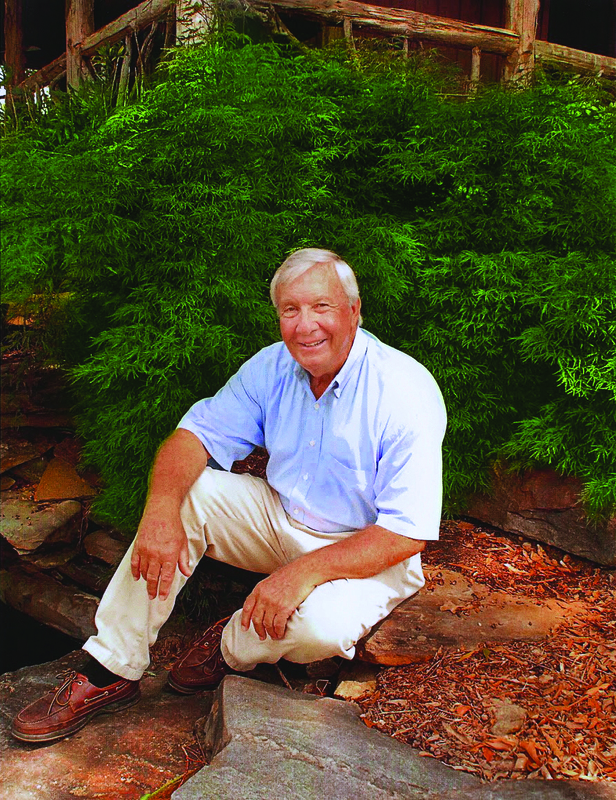 Today, Coach Dye is the owner and operator of Quail Hollow Gardens where he is passionate about his work cultivating 60 different varieties of Japanese Maple trees on his over 700 acre farm. Coach Dye will arrive at Southern Accents with a variety of the maples which will be available for purchase. There will also be a limited amount of memorabilia, including a limited number of copies of his 1992 book In The Arena available. A numbered ticketing system will be used to organize visitors who wish to meet Coach Dye, who will be available for autographs and picture ops. Visitors will need to stop by Southern Accents showroom the day of the event to pick up your ticket. Tickets are FREE. Tickets will also be used to draw for door prizes which will be given away during this event. Prizes include several signed copies of Pat Dye’s books as well as several of the Japanese Maples from Quail Hollow Gardens! This is an exciting event! Watch our Facebook page for more details and giveaways including your chance at a private Meet-and-Greet with Coach Pat Dye! 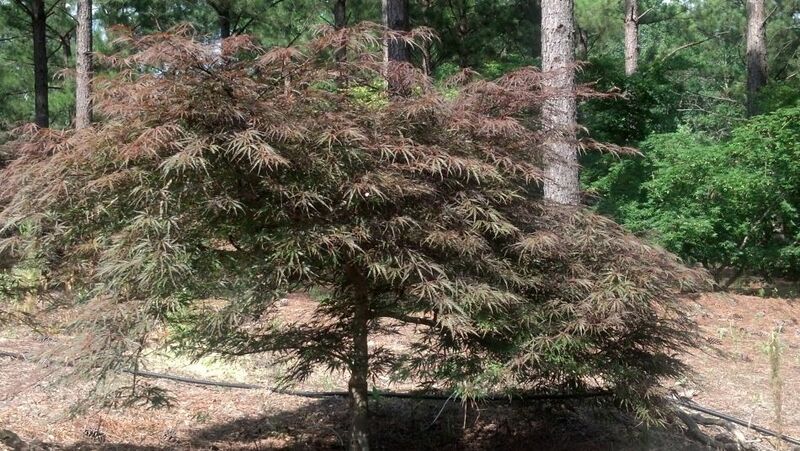 Coach Pat Dye will be bringing approximately 20-30 of these gorgeous Tamuke Yama Japanese Maples in 7 gallon sizes. This size tree will range in price from $75, $100, $125 and $150, depending on height and caliper of the trunk. The picture above is a 5-6 yr old tree from the nursery. 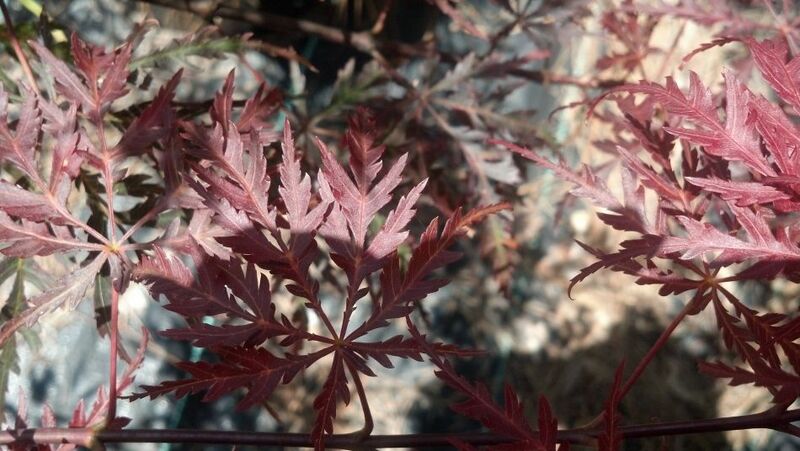 The leaves of this maple turn a beautiful purple red in late summer into early fall. Coach Dye will also be bringing another 20-25, 3 gallon trees which will cost between $40-50. He will bring 2-3 each of around 8-10 varieties. These will be a mix of uprights and weeping style (dissectum). The trees will be available on a first come, first serve basis Saturday morning, July 27, 2013. Sale begins at 10:00 am. The leaves turn a beautiful purple red in late summer into fall. 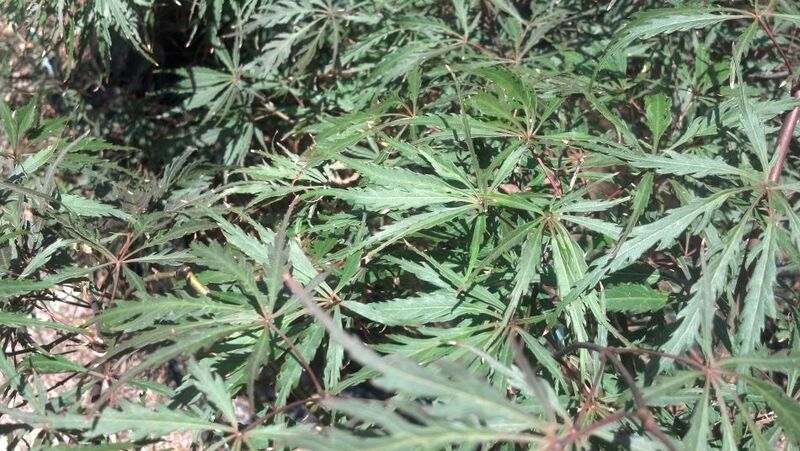 An older Tamuke Yama Japanese Maple currently growing in the fields of Quail Hollow Gardens. 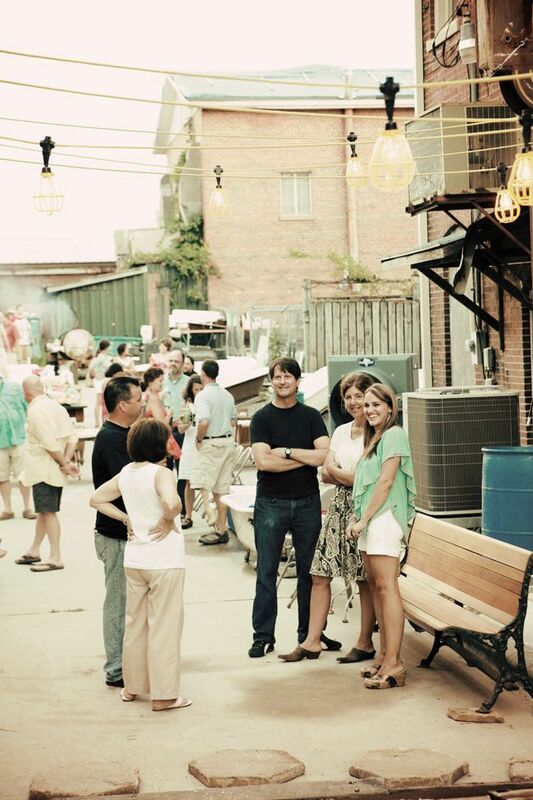 Alley Party 2013 – You Are Invited! Mark your calendars for Saturday, JULY 20th! Southern Accents presents the BANDITOS at our 2013 Alley Party and YOU are invited! Festivities get underway at 6:30 pm in the Alley behind our showroom. The band Banditos will take the stage around 7:15 entertaining us with their eclectic style of boot stomping music… a mix of honky-tonk, rock-folk Americana! 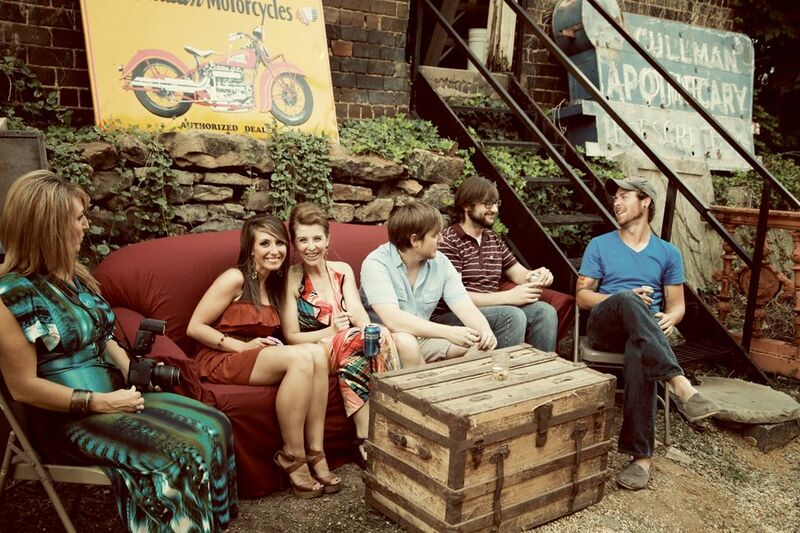 The Banditos are an up-and-coming, Nashville based band, originally hailing from Birmingham, Alabama. You’ll hear familiar tunes with a welcome mix of original music that well defines this talented mix of musicians. 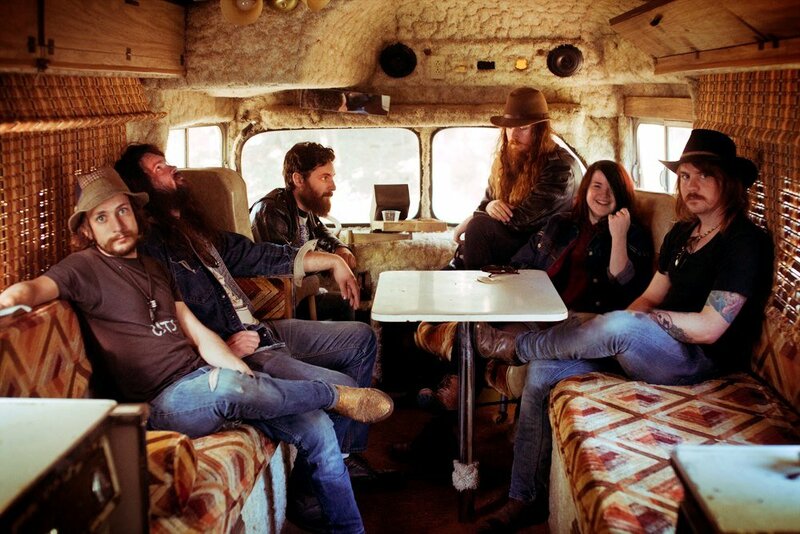 We think the Banditos will be one of the next big names emerging from the Nashville scene. Do not miss your opportunity to experience this band on the rise! You will want to come hungry! Our good friend Bill St. John will be handing out slices of his gourmet pizza to early arrivers. Soft drinks and bottled water will be available, along with one of our take home koozies, but you are also welcome to bring your own cooler. To further whet your appetite, there will be a fantastic menu offering available from Shindigs Catering food truck out of Birmingham, Alabama. Shindigs mouth watering menu is based on fresh, seasonal ingredients with detailed attention to unique flavor combinations. Their delicious cuisine is an experience your taste buds will not soon forget! Southern Accents 2013 Alley Party t-shirts will be available for purchase during the day as well as that night at the party. Don’t miss your chance to pick up one of these sought after, collectible tees! There will be a limited number available… once they’re gone, they’re gone!! 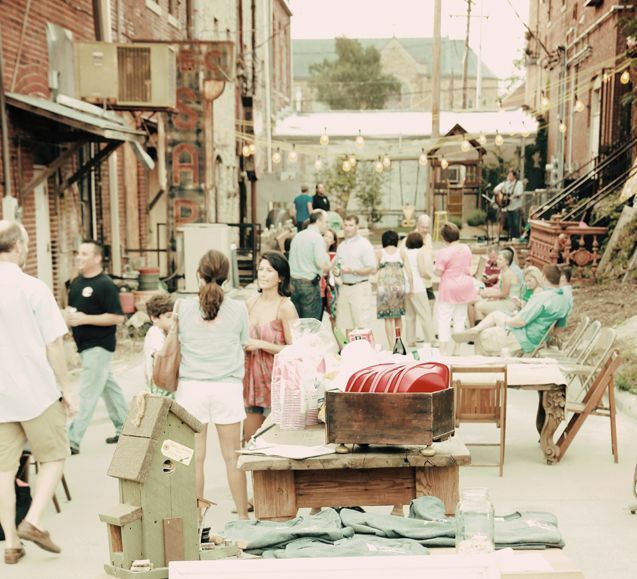 Our Alley Party is a yearly event that began after the 2011 tornadoes. It is our way of bringing folks together to celebrate friendship and community. It is also our way of saying thanks to our customers for your continued business and support that allow us to do what we love… we save old stuff! Stop by our showroom any time during regular business hours and enjoy a glass bottled Coca-Cola or a cold bottled water while you browse our showroom, warehouse and outdoor lots. We invite you to take your time and hang out and visit with us for a while! We’ve got plenty of stories to tell and we would love to hear a few from you as well!! Please consider this your OFFICIAL INVITATION! Whether you are a long time customer or new, friend, neighbor or have always wanted to pay us a visit… you are invited to attend this celebration. Make plans now to join us on Saturday, July 20th, 6:30 pm in the Alley! Bring a friend, admission is FREE. Food and t-shirts will be available for purchase. Please feel free to bring a lawn chair and your own cooler. Hope to see you here!! Southern Accents is proud of our Alabama roots. We are always thrilled when given the opportunity to both collaborate with, and lend support to, fellow makers from our home state. 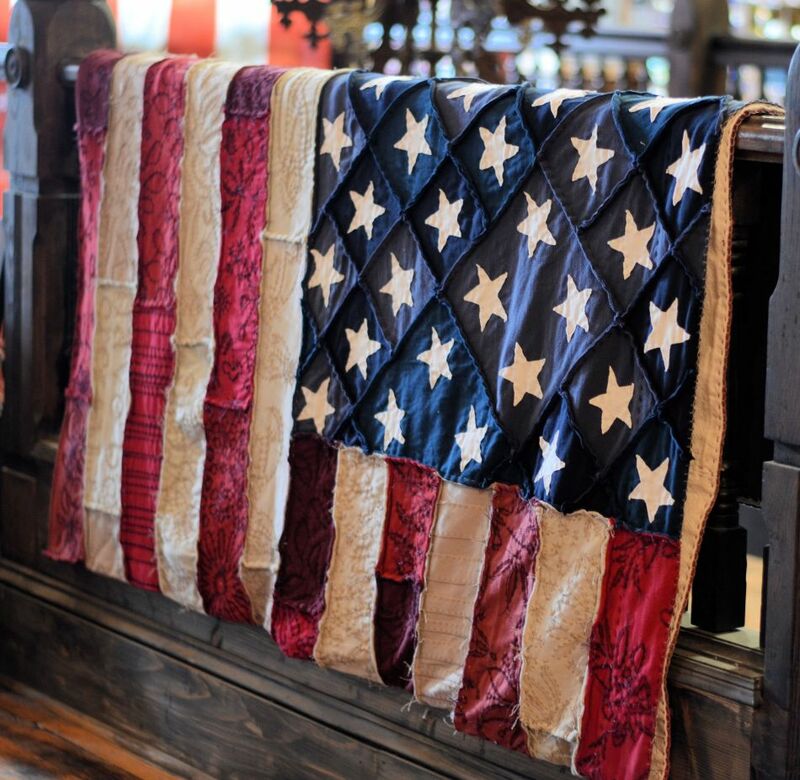 This week we received a stunning American flag quilt from one of those makers, Alabama Chanin. The quilt is completely hand-sewn from two layers of 100% organic cotton jersey and features Alabama Chanin’s signature reverse appliqué along with a beautiful blanket stitched border. This incredible work of art is currently on display in our showroom and available for special order. One of many things that first impressed us about Natalie Chanin, founder and creative director of Alabama Chanin, is her vision. Natalie works from her hometown of Florence, Alabama. Florence has a long history of textile production. Sitting on the banks of the Tennessee River, the city was once home to one of the first textile centers in this part of the country. Alabama Chanin is headquartered in a building that was once a sewing, dyeing, and embroidery facility. Natalie’s vision is to see the return of the textile industry to the state of Alabama. Building a business that is both environmentally and economically sustainable, encourages and supports the local economy which is an effort that Southern Accents can get behind. Alabama Chanin creates their fashions from 100% organic cotton jersey that is sourced sustainably from seed to fabric. Not unlike our own philosophy of rescuing and restoring architectural salvage, we share with Natalie a passion for helping to protect the environment by using and reusing local resources whenever possible. Southern Accents collaboration with Alabama Chanin is a natural fit. The artistic aspect of architecture and fashion go hand in hand. The bigger connection for us, is the passion that we share for quality and our creativity that produces a back-to-your-roots awareness. Garlan and Natalie are both artists who think “out of the box.” Both recently participated in the highly curated Southern Makers Festival in Montgomery which celebrated the creative heritage that is Alabama. Collaborations with like minded artists just makes sense to us which is why we are so excited to currently be working with Natalie on some of the interior design aspects of the manufacturing facility and up-and-coming event space, The Factory, in Florence. The manufacturing facility, working under the label of A. Chanin, is intended to make their items more accessible while continuing their focus on sustainable products and practices. We are looking forward to following the progress of Natalie’s newest ventures! 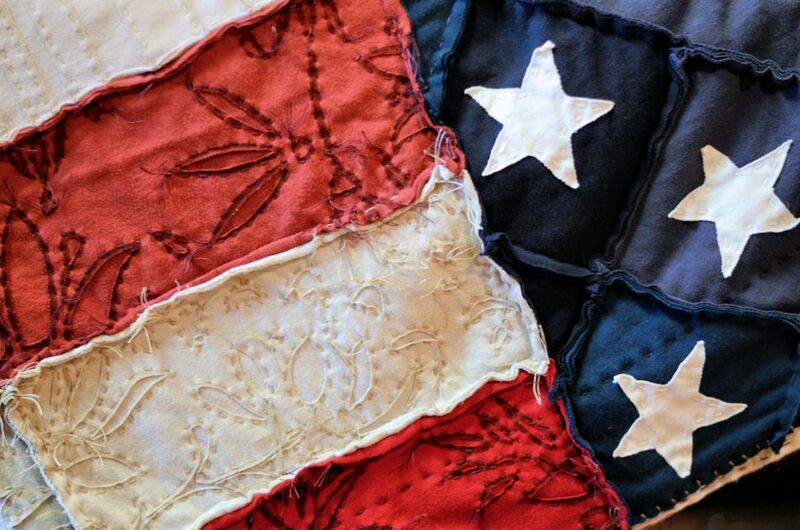 Stop by Southern Accents to view the beautiful Alabama Chanin quilt. You can also view the quilt online at: www.sa1969.com. 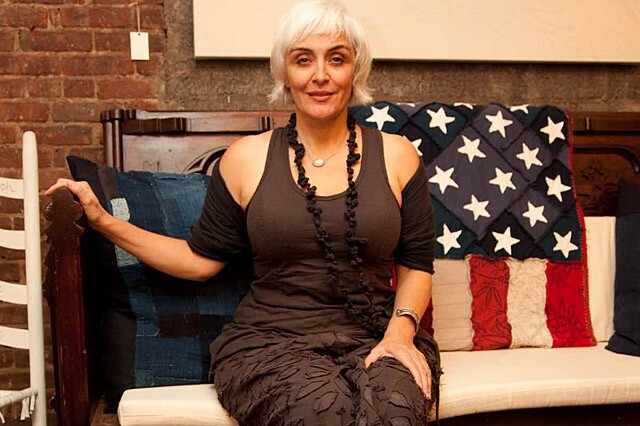 To learn more about Alabama Chanin, visit them online at: www.alabamachanin.com. The details of this hand stitched quilt along with the colors of the organic cotton are exquisite! This work of art is 111″ x 60″ and available for special order. Natalie Chanin, founder and creative director of Alabama Chanin. Photo courtesy of Peter Stanglmayr.